We are turnkey specialists with extensive experience in a broad range of materials and processes, whether one-of-a-kind components or production quantities are needed. We use the latest CNC machining and inspection equipment in our state of the art facility. 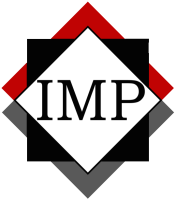 Imperial Machine Products proudly services local and international companies in the Oil and Gas industry. For over 27 years, our customers come to us because of our reputation for quality and excellence. Our goal is to develop relationships that last with the highest quality products and customer service. With a speciality in quick precision machining for small to medium sized parts, our experts are experienced with a vast range of materials from stainless steel to inconel. Our facility and state of the art machines are capable of holding tight tolerances on large production runs or single prototype pieces. To ensure the best quality products and experience, we will work hands on with engineers to develop the most cost and time effective designs. We strive for excellent service and customer satisfaction! "Celebrating Over 25 Years of Exceptional Quality and Service"